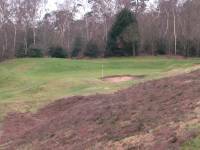 Only true connoisseurs will have heard of The Addington Golf Club, tucked inconspicuously in an otherwise unassuming part of England near Croydon, south of London. 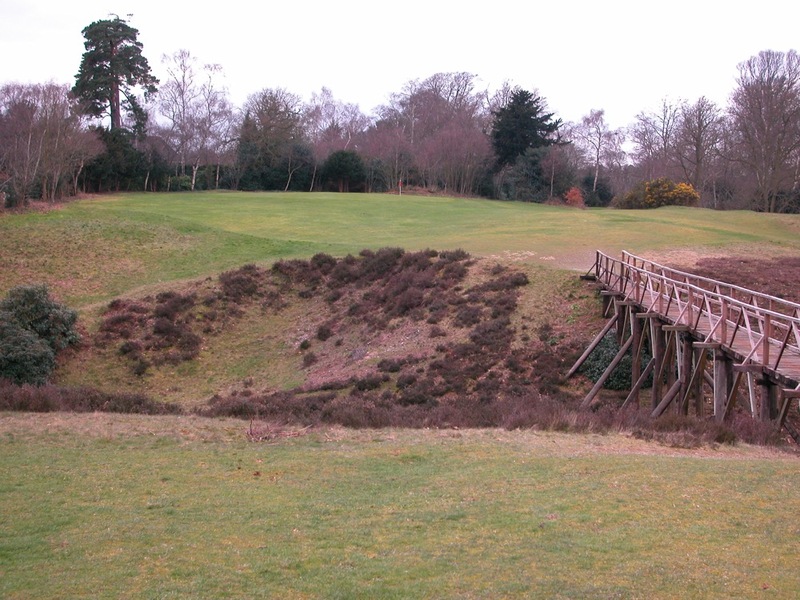 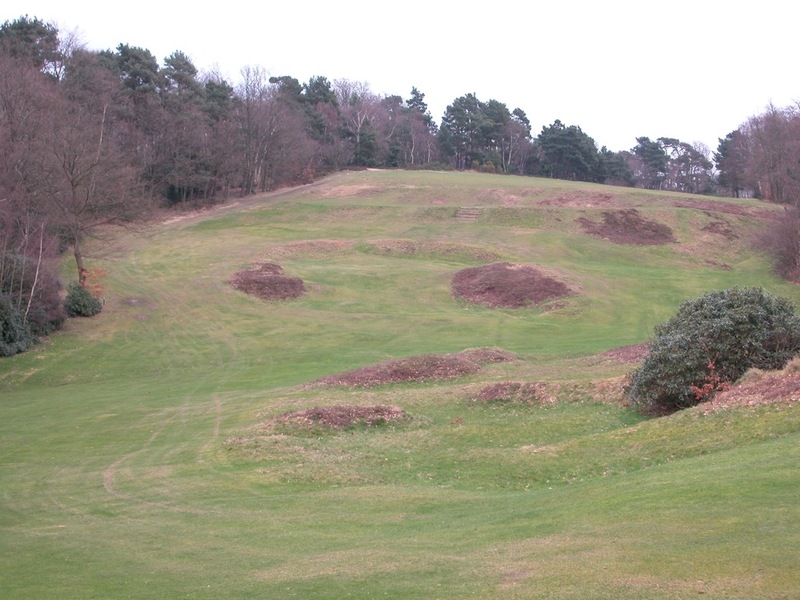 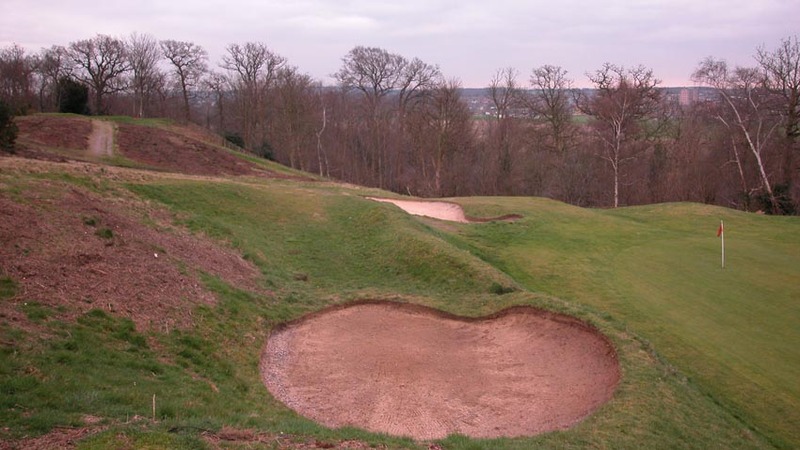 Nevertheless, The Addington Golf Club in England is home to the most spectacular golf holes this or any side of Pine Valley, with huge pits and chasms to play over and around, and long wooden bridges from tee to fairway and fairway to green. 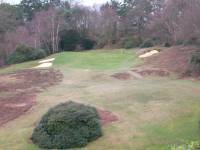 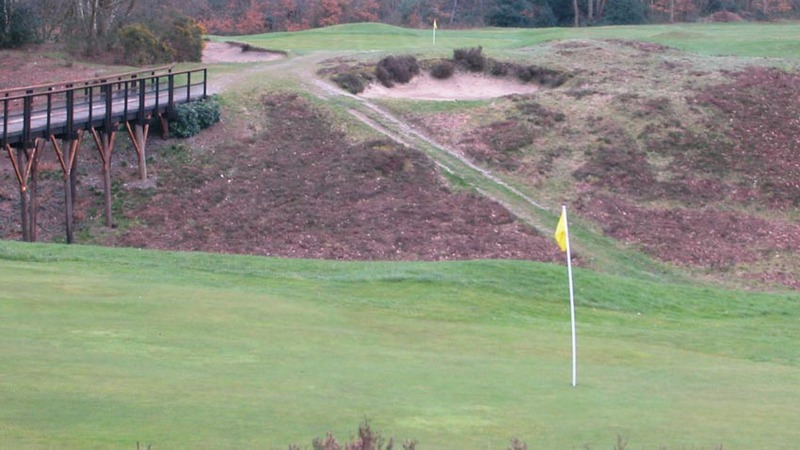 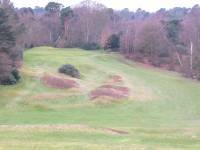 The 12th at The Addington Golf Club is downright shocking! 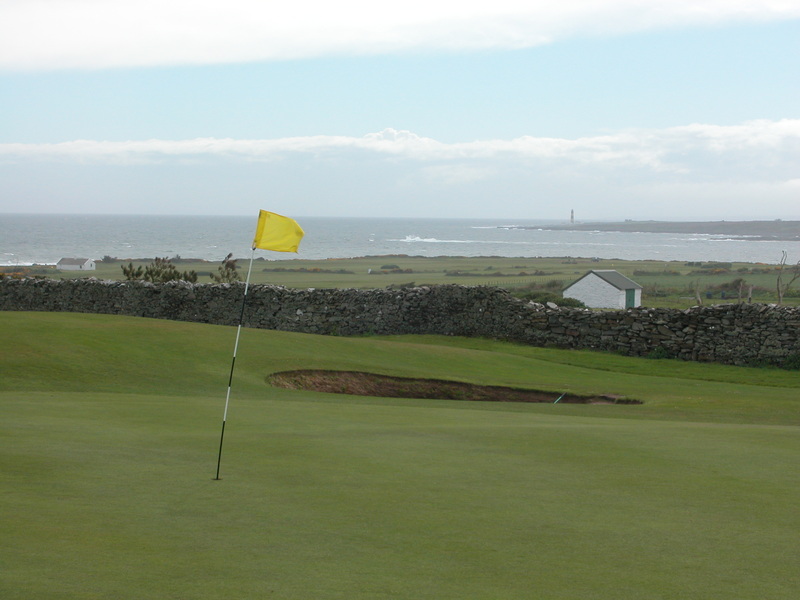 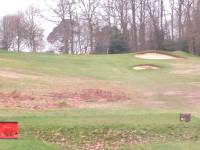 A good drive will leave the main fairway, and end up on a launching pad with a slight uphill lie, about a 10-foot drop from the original fairway. 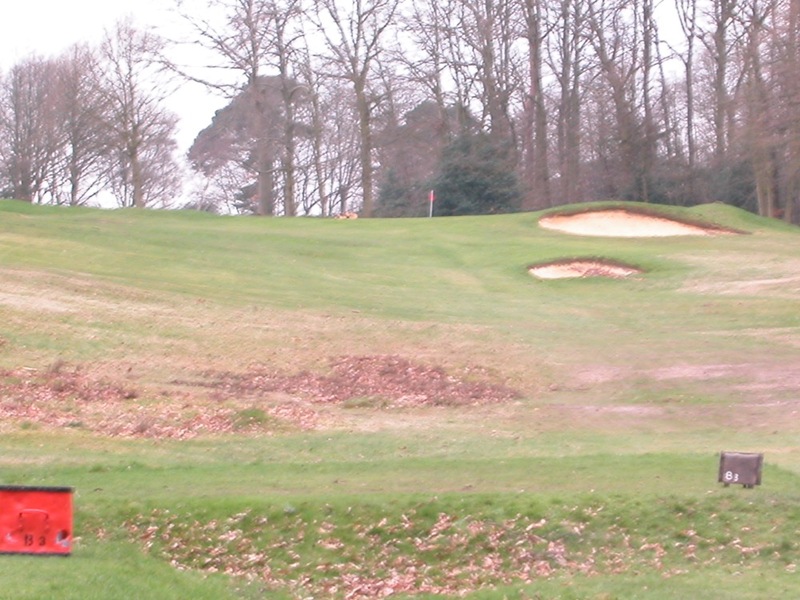 Go too far though on The Addington Golf Club’s 12th fairway and you may lose your ball. The second shot on The Addington’s 12th hole is either a wood/long-iron over a large chasm with a huge carry to reach the green, or a layup to a 10-yard wide fairway to the right of the direct route, leaving a straight-uphill pitch for your third. 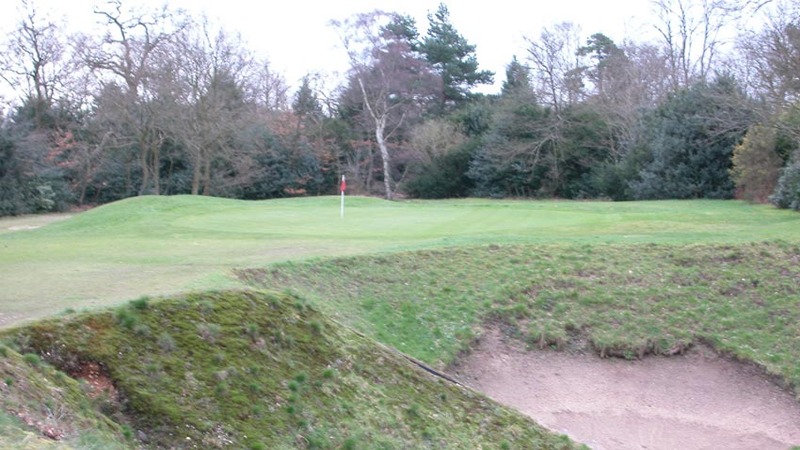 The card calls it a “bogey” 5 (all holes are listed as bogeys rather than pars), but then there is an asterisk that says par is 4 (and no other holes list any sort of par). 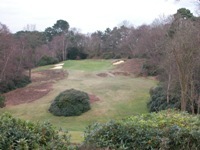 We still don’t know what we are supposed to make here on the 12th hole at The Addington Golf Club! 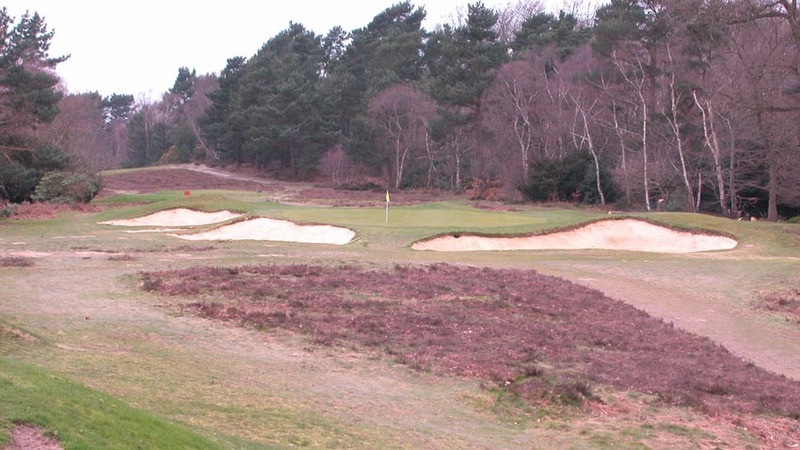 The 13th at The Addington is a 240-yard par-3 that is all carry, with no room left or right, highly reminiscent of the nearly-impossible 5th hole at Pine Valley. 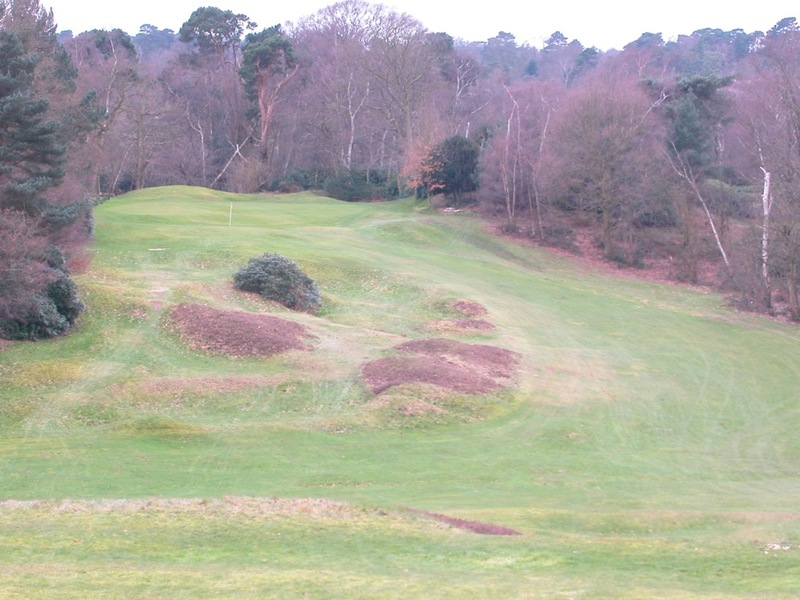 The par-5 16th at The Addington Golf Club is everything the 17th at Wentworth is supposed to be–no bunkers, with a serpentine, sloping design and a steep chasm to the right of the green. 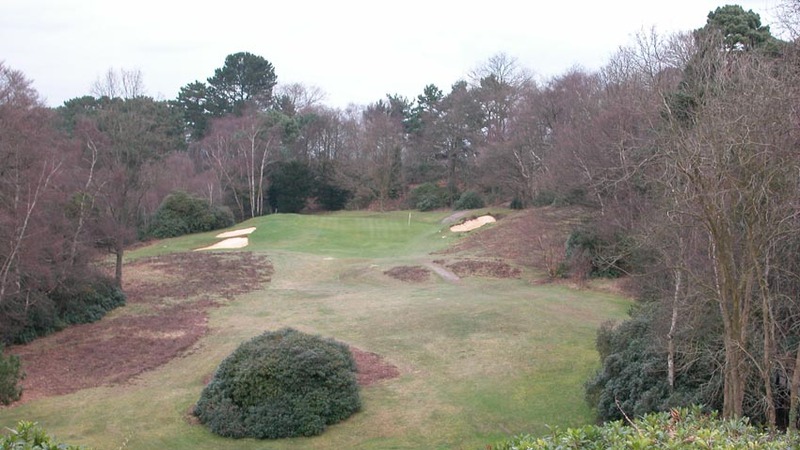 Yes, there is something about finding a place like The Addington Golf Club, sometimes seemingly abandoned, with a layout that is out-of-this-world and never to be forgotten. 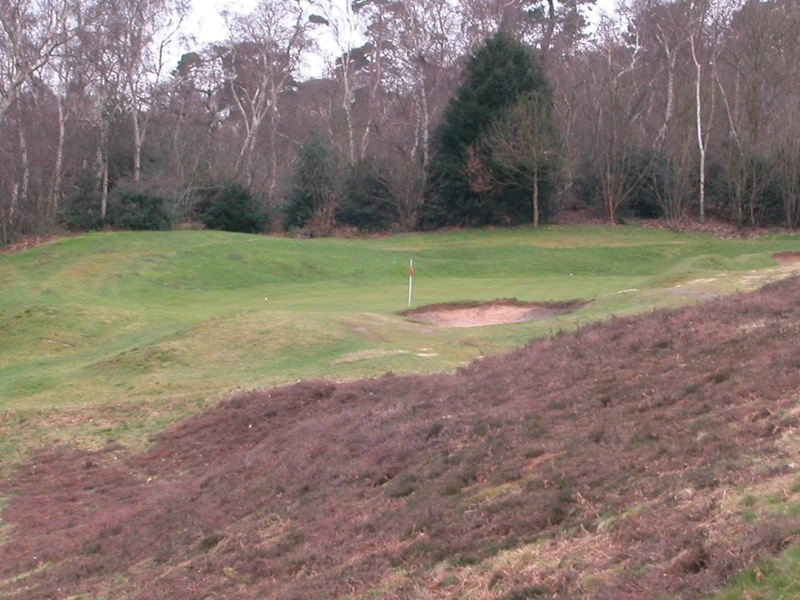 Not without flaws, but these only serve to keep this The Addington Golf Club hidden away from undo exposure. 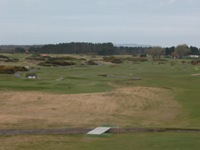 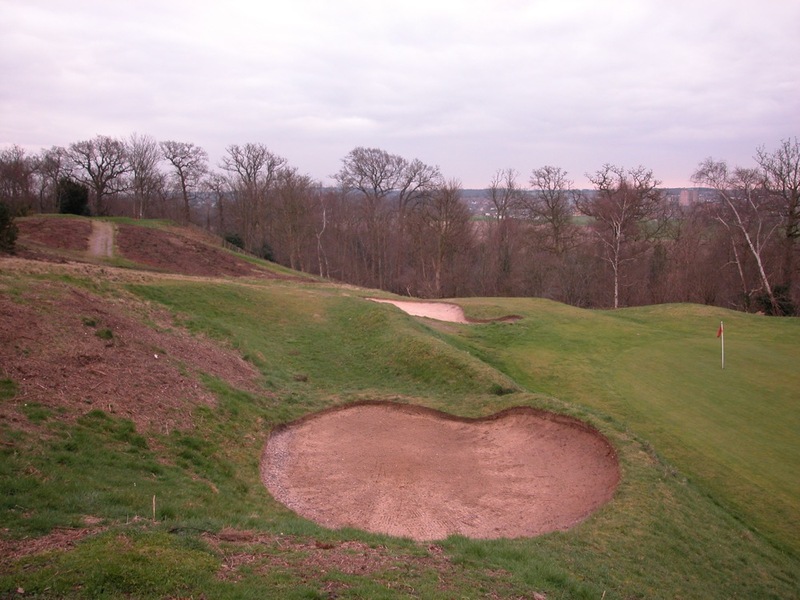 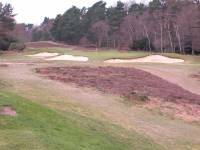 If you want to play a golf course you will talk about long after you return home from your golf tour to England, you must include a visit to The Addington Golf Club!